Race enthusiasts look for every edge they can get, on the track and off. That includes wheels and tires optimized for racing performance. The new Rifle model light alloy wheels from TSW are aimed squarely at this market, and offer compelling performance advantages. The Rifle race-specific rim is manufactured using a computer-controlled production breakthrough called rotary forging. Rotary forging shapes the wheel under intense pressure while it is spun at high speed. Centrifugal forces alter the molecular structure of the alloy, creating a wheel with an uncommon combination of strength and low weight compared to conventionally cast wheels. Because the preponderance of the weight saving is in the outer perimeter of the wheel, rotary forging dramatically reduces rotational mass, improving vehicle performance in many dimensions. “For racing fans, performance is everything,” explained TSW Alloy Wheels president Terence Scheckter. “We designed the Rifle model for racing enthusiasts who want a wheel with the strength to handle the rigors of racing, all while keeping the weight to a minimum. We achieved this by employing our advanced rotary forged technology, and for added strength we increased the cornering fatigue load tolerance by 20 percent. With this we can greatly increase the lateral strength of the wheel under strong cornering need for the track,” Scheckter added. The Rifle features ten curved and tapered spokes radiating from a deeply countersunk hub, creating generous clearance for the oversized brakes favored by racers. Sculpting details at the spokes’ edges add a refined touch. The Rifle is available in 15” to 18” diameters in different offsets to meet a wide range of racing requirements. 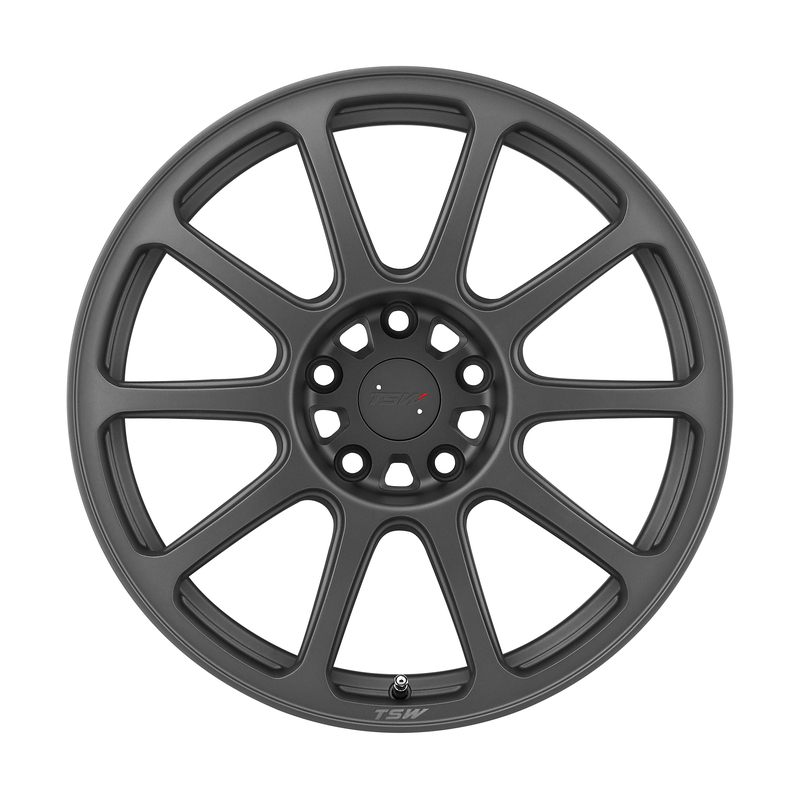 As dramatic as its design is the unique finish developed for the Rifle, a subtle, no-nonsense matte gunmetal, images and details of the wheel can be viewed at http://www.tsw.com/alloy_wheels_rifle.php . 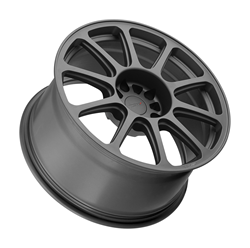 Racing enthusiasts can experience the Rifle model, and all TSW aftermarket wheels, on the company’s recently re-launched website at http://www.tsw.com. 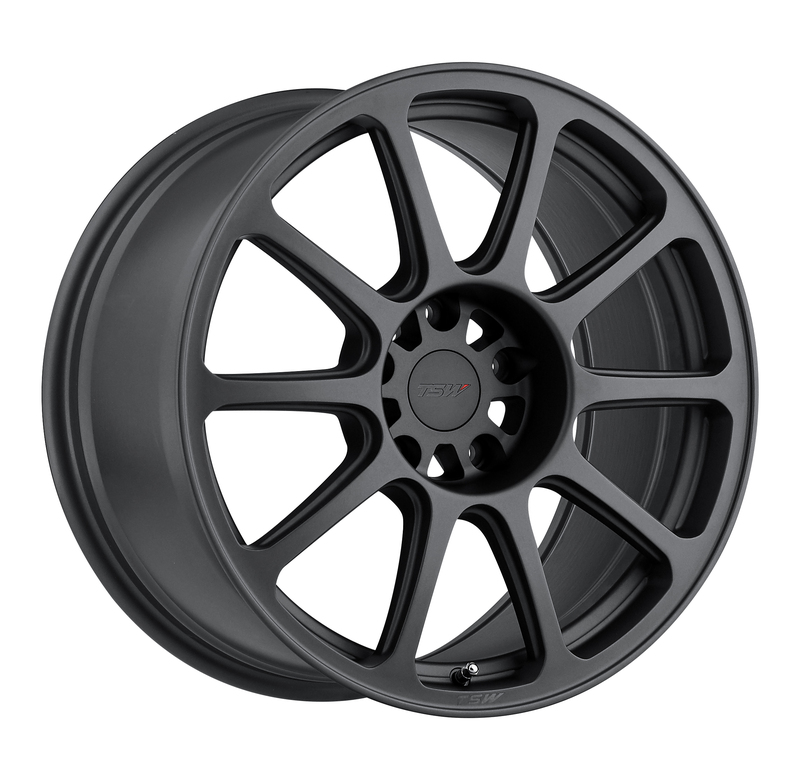 The new website is designed to showcase TSW wheels in a more thorough and interactive way. For example, while it’s not really practical for tuners to try on several different wheels at a TSW dealer, the Wheel Configurator tool enables them to pull up a rendering of their year, model and color vehicle, then “test fit” every TSW design, finish and size that fits. The new website enables users to sort through the TSW product line by vehicle, wheel size, construction methodology, style, design or finish. The Fitment Guide found at http://fitment.tsw.com/ enables owners to identify each model and size that is a precisely compatible match for their year and model. Wheel descriptions provide a full technical summary on each wheel. In the “Explore TSW” section at http://www.tsw.com/explore/ the Technology and Company pages permit prospective customers to learn more about the factors that make TSW an industry leader in the production of aftermarket wheels for a wide range of cars and trucks, domestic and imported. Useful dealer locator tools are on the website, searchable by zip code, by country outside the United States or by calling 888-766-7775. The dealer section on the website enables TSW dealers to access the company’s Brea, California warehouse inventory to determine availability and to place orders. Orders received by 4pm ET are shipped the same business day.